Stunningly spongy and inviting, our cushion pads in a pack of 2 are designed to grant the supreme comfort to your family. Whether placed on a chair, sofa, or bed, our luxurious cushion pads are filled with Natural duck feathers that are extremely soft and durable and give perfect support to your back. With an exclusive round shape, our duck feather cushion pad has cotton covering with cambric down casing that gives a impressive shiny texture. 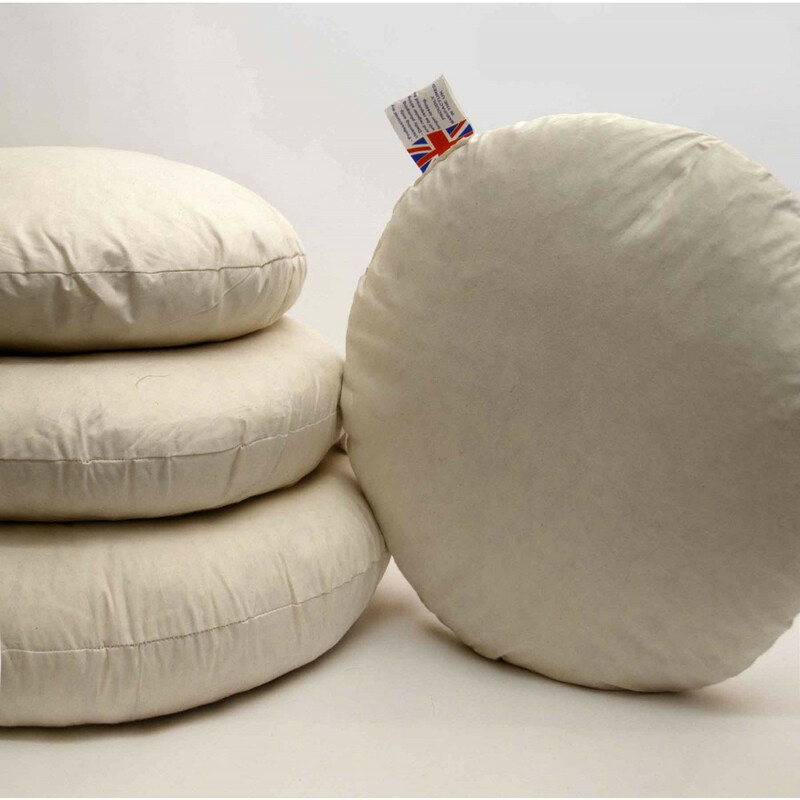 Bedding mill offer its 2 packs round duck feather filled cushion pads in various sizes that will surely give you a perfect support and comfort.